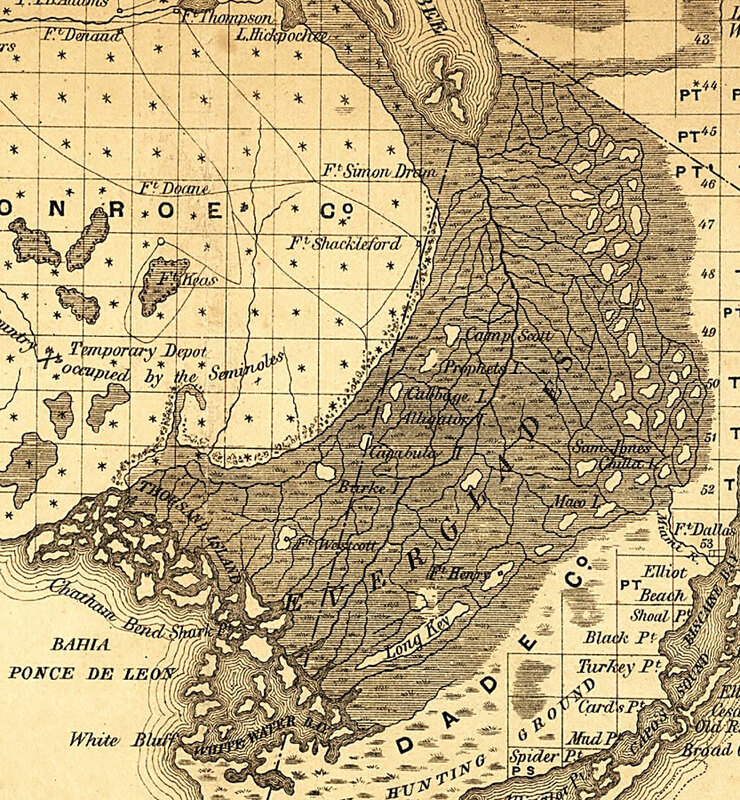 Description: Map of the Everglades from the out-flow of Lake Okeechobee to Bahia Ponce de Leon and Whitewater Bay taken from a 1859 railroad map of Florida. The area includes portions of Dade and Monroe counties. Several U.S. Army forts are shown including a temporary depot occupied by the Seminoles. An area designated as Indian hunting ground is shown at the southern border of the map. Township grids based on the Tallahassee basis parallel and the Tallahassee prime meridian shows the extent of land survey in Florida along the coast in 1859 and the un-surveyed area of the Everglades. The map scale is 1:1,140,480.